An autumnal vibe can be felt in this outfit today, maybe because this rich palette colors of the dress or maybe just because I secretly want a little change and Fall is what comes to my mind as a next natural change. Have a great day everyone! In love with your dress and shoes! 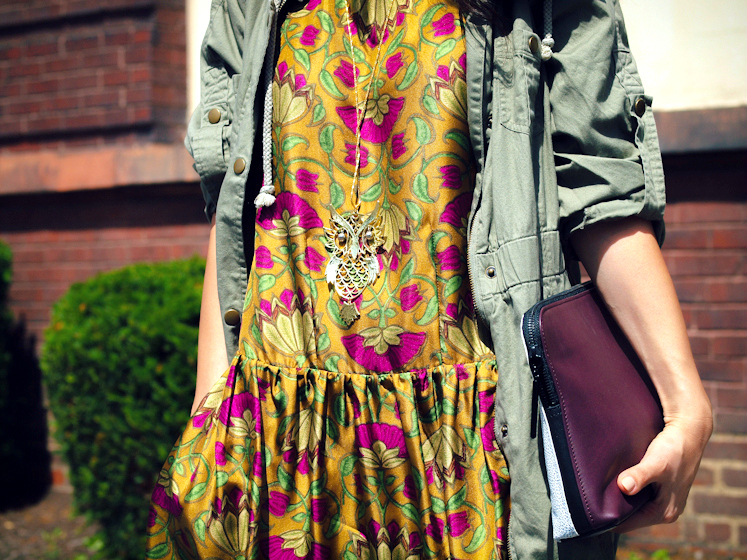 love how you paired the dress with the parka !! So nice ! I love those shoes and the dress! Very fun look! Love the shoes and that necklace is so cute! Oh! Beautiful dress! Love it with the jacket and shoes! I love this dress. It looks great with that jacket! wow, the perfect dress in a perfect combination! That dress looks so cool with the parks jacket! Awesome look! This dress is gorgeous! Great pictures dear! The dress is stunning on you! Just found your blog through lulu’s website. Love you fashion choices! 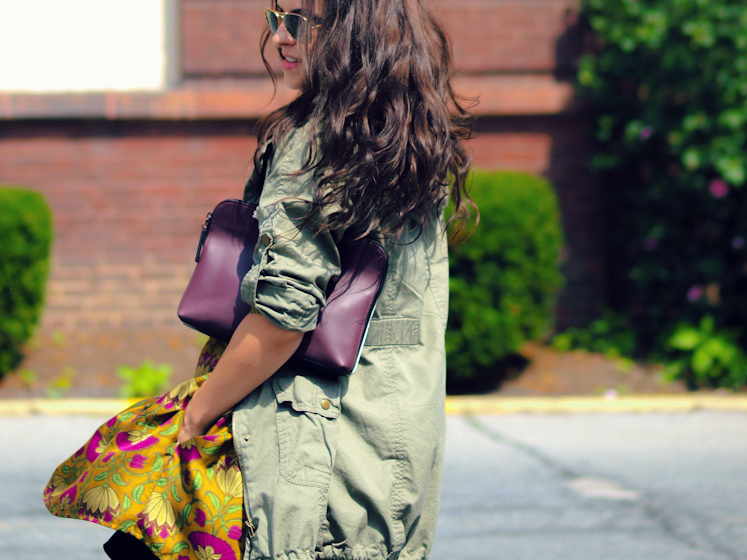 Absolutely love how u put the parka over the dress, too chic :) Fabulous heels and love ur hair!! i LOVE the graphic that you did on every single cover picture !!!! Absolutely love all of them!!!!!! I LOVE the graphic that you did on the cover picture! Absolutely love all of them!!!!!! Love the look!! Love the floral!! Absolutley the perfect transition for the fall! Check out our fun styles which you will love! This dress is gorgeous Veronica! I love the rich jewel tones and the 30ies inspired shape of it. I also really like how you paired it with an oversized parka!